Island’s urban division are heavily involved in forthcoming British crime thriller THE INTENT 2: THE COME UP. Island have joined forces with independent distributor Vertigo Releasing for the UK and Ireland release of the film which is the prequel to the underground 2016 hit The Intent. Written by and starring both Nicky Slimting Walker (It’s A Lot) and Femi Oyeniran (Kidulthood, Adulthood) the gripping thriller was shot on the streets of London and Jamaica and features well-known faces across grime music and previous stars of British urban films. 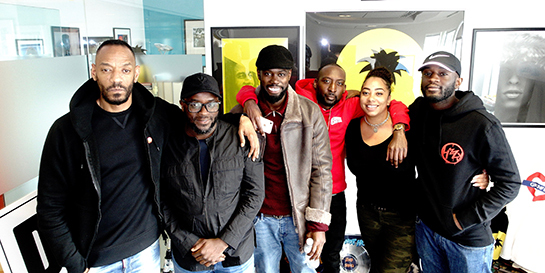 The cast includes Virgin EMI’s Krept & Konan, Island’s Fekky, BET nominee Ghetts, dancehall artist Popcaan, BAFTA winner Adam Deacon (Kidulthood), Ashley Chin (Anuvahood), Sharon Duncan-Brewster and Dylan Duffus (The Intent). Island’s urban division are acting as cultural advisors to the production, while also assisting on the curation of the film’s soundtrack. THE INTENT 2: THE COME UP centres on Jay (Ghetts) who has big dreams; but his ambitions are crippled by his allegiance to both his crew and Hackney crime boss Beverley (Sharon). Jay sets about laying the foundations for his own organised crime ring with the help of Mustafa (Adam Deacon). Things are going well until Beverley discovers his disloyalty, and an ill-fated robbery in North London and a trip to Jamaica tears the crew apart. All the while, their actions are being monitored by an undercover Met Police officer, who has been deployed to integrate himself into the crew. The film is slated for UK and Ireland release this Autumn.